李得孝. 第六章 大豆、花生品质分析（约8万字）， 张建奎（主编）. 作物品质分析[M]. Page:119-168.西南师范大学出版社，重庆，2012. 陈天佑, 张海峰, 李得孝, 张玲丽. 2003. 专业英语教材建设的实践与探讨[J]. 高等农业教育, 9:38-39,54. 李得孝, 梁福琴, 汪勇, 王中华, 樊晨. 利用荚果厚度变化评价大豆鼓粒期的耐旱性[J]. 中国农业大学学报,2017, 22(8):9-17. 李得孝, 梁福琴, 汪勇, 王中华, 樊晨. 利用荚果厚度与粒重估计大豆鼓粒速率的研究[J]. 大豆科学, 2017, 36(2):244-249. Xiaoliang Qin, Fan Feng, Dexiao Li, Stephen J. Herbert, Yuncheng Liao, and Kadambot H. M. Siddique. Changes in yield and agronomic traits of soybean cultivars released in China in the last 60 years. Crop & Pasture Science, 2017, 68(11) 973-984. Fang-Fang Ma, Xiao-Yi Wu,Yun-Xia Chen,Ying-Na Liu,Zhu-Qing Shao,Ping Wu,Mian Wu,Cheng-Chen Liu,Wen-Ping Wu,Jia-Yin Yang, De-Xiao Li, Jian-Qun Chen,Bin Wang. Fine mapping of the Rsv1-h gene in the soybean cultivar Suweon 97 that confers resistance to two Chinese strains of the soybean mosaic virus. Theoretical and Applied Genetics, November 2016, 129(11):227-236. 李得孝, 王晶, 刘修杰, 胡超,刘义. 2014. 利用荚果厚度模拟大豆鼓粒进程的研究[J]. 中国农业大学学报, 19(1):29-36. 李得孝, 周和吾, 刘艺森. 2013. 大豆吸胀前后籽粒外形指标的变化[J]. 农业科学(HJAS), 3(4): 73-80. Shi Ainong, Chen Pengyin, Richard Vierling, Li Dexiao, Zheng Cuiming. 2013. 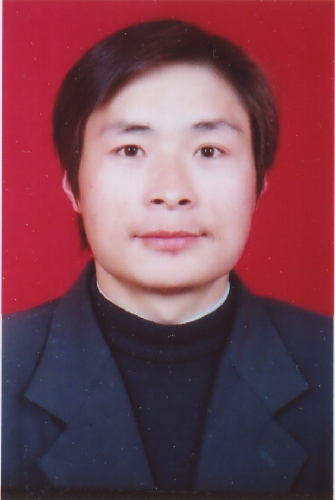 Identification of soybean mosaic virus resistance alleles in Jindou 1 soybean[J]. Euphytica, 2013, 192(2):181-187. 李得孝, 张昊, 俞嫒年, 姚丹妤, 雷志伟, 李玲. 2012. 盆钵形状和植株数对盆栽大豆农艺性状的影响[J]. 西北农业学报, 21(7):112-117. Shi Ainong, Chen Pengyin, Richard Vierling, Zheng Cuming, Li Dexiao, and Dong Dekun, Ehsan Shakiba, and Innan Cervantez. 2011. Multiplex Single nucleotide polymorphism (SNP) assay for detection of soybean mosaic virus resistance genes in soybean[J]. Theor Appl Genet. 122(2):445-57. Li D, Chen P, Alloatti J, Shi A, and Chen YF. 2010. Identification of new alleles for resistance to Soybean mosaic virus in soybean[J]. Crop Science, 2010，50:649-655. 李得孝, Pengyin Chen, Ainong Shi, Bo Zhang, and Anfu Hou. 2009. 大豆花叶病（SMV）中国部分鉴别寄主的抗性基因推断. 第八届世界大豆研究大会暨第九届全国大豆学术讨论会摘要集. 李得孝, Pengyin Chen, 陈耀锋. 2009. 利用美国SMV病毒株系初步鉴定中国大豆鉴别寄主的抗性基因[J]. 西北植物学报，29（10）：2096-2102. Li Dexiao, Chen Pengyin, Alloatti J, and Chen Yaofeng. 2009. Search for new genes conferring Resistance to Soybean mosaic virus in Soybean[J]. 西北农林科技大学学报(自然科学版), 37(7):51-58,67. Li Dexiao, Chen P, Shakiba E, Gergerich R, and Chen YF. 2009. Temperature Affects Expression of symptoms induced by soybean mosaic virus in homozygous and heterozygous plants[J]. J Hered, 100(3): 348-354. Shi A, Chen Pengyin, Li Dexiao, Zheng Cuiming, Zhang Bo, and Hou Anfu. 2009. Pyramiding multiple genes for resistance to soybean mosaic virus in soybean using molecular markers[J]. Molecular Breeding, 23(1):113-124. Zheng C, Chen P, Li Dexiao, and Gergerich R. 2008. New sources of Resistance to Soybean mosaic virus in Soybean[J]. Can. J. Plant Pathol, 30(4):595-603. 李得孝, 崔黎艳, 陈耀锋. 2007. 渗透胁迫对玉米幼苗叶片叶绿素含量及POD活性的影响[J]. 干旱地区农业研究, 25(1):140-142. 李得孝, 侯万伟, 员海燕. 2006. 玉米叶片叶绿素快速浸提方法研究[J]. 西北农林科技大学学报(自然科学版), 34(11):65-67. 李得孝, 员海燕, 郭月霞, 慕芳, 龚小艳, 张敏. 2006. 混合液浸提法测定玉米叶绿素含量[J]. 玉米科学, 14(1):117-119. 柴广懋，陈耀锋，李得孝, 张小红, 李春莲. 2006. 国内外部分小麦材料在黄淮麦区的抗赤霉扩展特性及农艺性状研究[J]. 麦类作物学报, 26(3):136-139. 李得孝, 郭月霞, 员海燕, 张敏, 龚小艳, 慕芳. 2005. 玉米叶绿素含量测定方法[J]. 中国农学通报, 21(6):153-155. 李得孝, 员海燕, 周联东. 2004. 玉米抗倒伏性指标及其模拟研究[J]. 西北农林科技大学学报(自然科学版), 32(5):53-56. 李得孝, 员海燕, 武玉华, 周联东. 2004. 玉米抗倒伏性状的遗传分析[J]. 西北农业学报, 13(2):43-46. 周联东, 员海燕, 李得孝, 雷国才. 2003. 玉米氮营养效率基因型差异研究[J]. 西北农业学报, 12(1):21-24. 李得孝, 康宏, 员海燕. 2001. 作物抗倒伏性研究方法[J]. 陕西农业科学, 47(7):20-22. 员海燕, 李得孝, 刘恩海, 罗淑平. 2000. 近缘单交种对协调玉米制种花期效果的研究[J]. 西北植物学报, 20(5):715-719. 员海燕, 李得孝, 罗淑平, 王静. 2000. 玉米单交种西农11号的高产栽培措施研究[J]. 西北农林科技大学学报(自然科学版), 28(6):48-51.